Dr. Kleber was a long-time supporter of the Partnership and our important work for almost a quarter century. He served on our Board of Directors and was an integral part of a small and distinguished group of scientists and researchers who understood intuitively that effective communications can be just as critical to addressing substance use as academic studies. 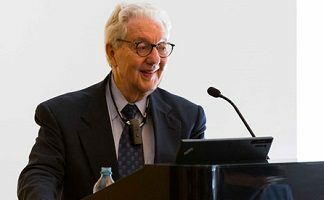 A pioneer in research and treatment of substance use for over 40 years, Dr. Kleber served as a Professor of Psychiatry and Director of the Division on Substance Abuse at the Columbia University College of Physicians and Surgeons and the New York State Psychiatric Institute. He and his colleagues helped develop and improve both medications currently used to treat substance use and the psychosocial approaches that accompany them. Dr. Kleber was the author of more than 250 papers, and the co-Editor of the American Psychiatric Press Textbook of Substance Abuse Treatment. He received numerous prestigious awards, two honorary degrees, is listed as one of the “Best Doctors in America “and “Best Doctors in New York”, and was elected in 1996 to be a member of the Institute of Medicine of the National Academy of Science.